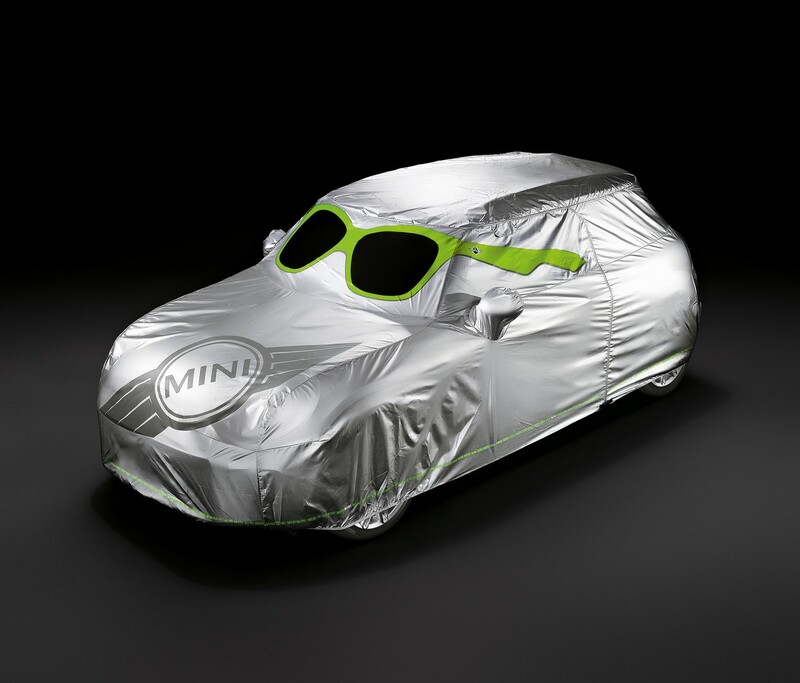 Η MINI ανακοίνωσε τα διαθέσιμα αξεσουάρ που ετοίμασε για το νέο Cooper. Ανάμεσα σε αυτά υπάρχουν τέσσερα νέα εξωτερικά χρώματα, ειδικά γραφικά, ράγες οροφής, μπαγιαζιέρες, ζάντες 17″ και 18″, μαρσπιέ, νέα πατάκια, καλύμματα καθισμάτων, ενώ υπάρχει και το MINI key cap, το οποίο διαθέτει NFC chip (Near Field Communication) που ανταλλάσσει δεδομένα ασύρματα με το smartphone του οδηγού, επιλέγοντας της προ-επιλεγμένες ρυθμίσεις του οδηγού στο σύστημα MINI Connected Services. 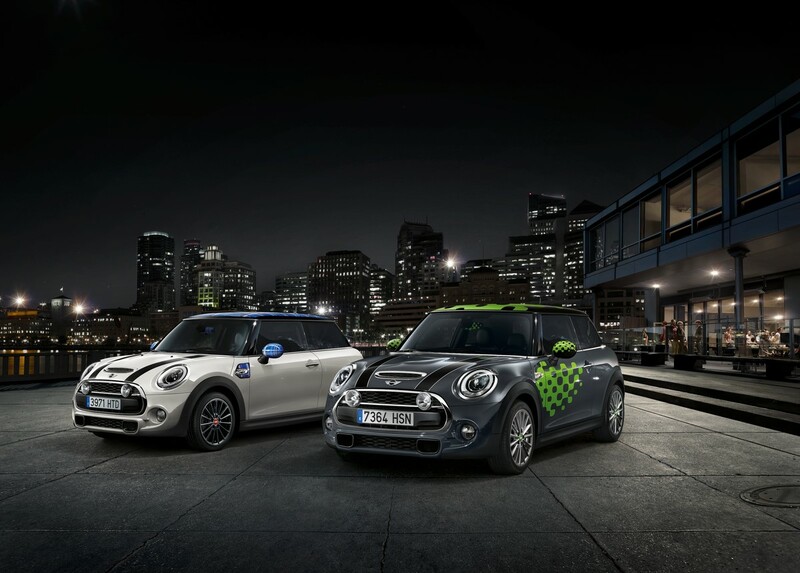 The all new MINI: Fresh choices for a touch of individual style. Munich. 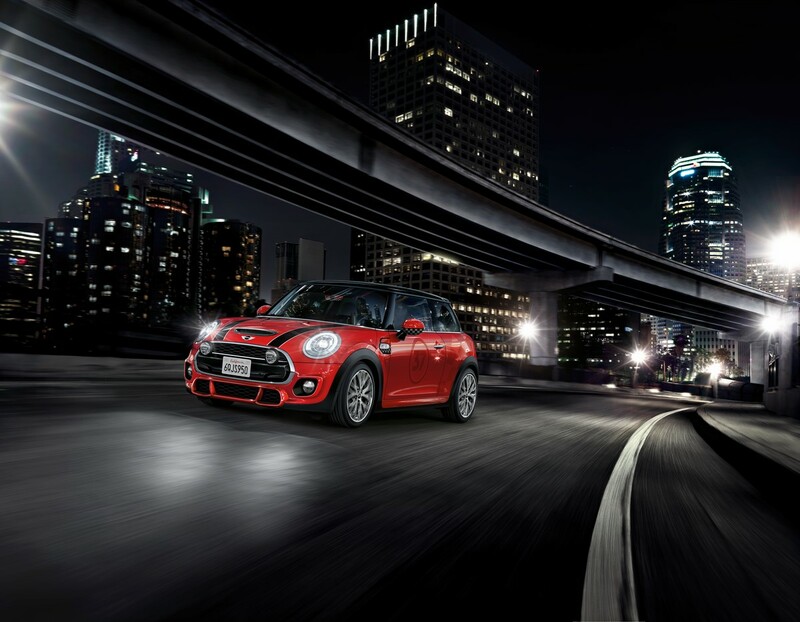 The all-new MINI is more powerful, more refined and more comfortable, and also offers more choice than ever for customers seeking to give their car a unique style. 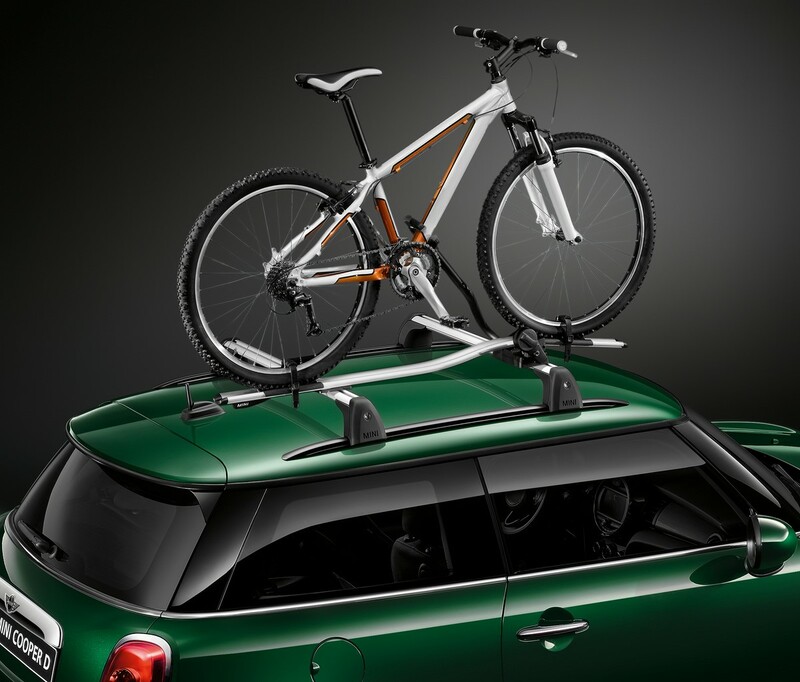 A fresh and exciting range of model-specific products joins the Original MINI Accessories programme, and is available from the car’s launch in spring 2014. It means buyers can fine-tune the design and functionality of their MINI to suit their individual taste. 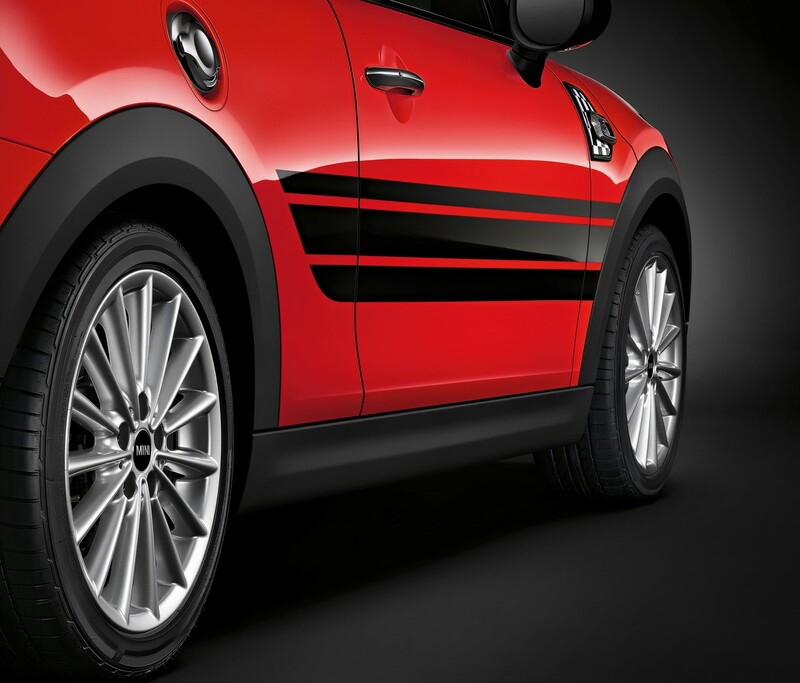 Striking exterior touches, high-quality detailing for the interior and exclusive light alloy wheels are all available. 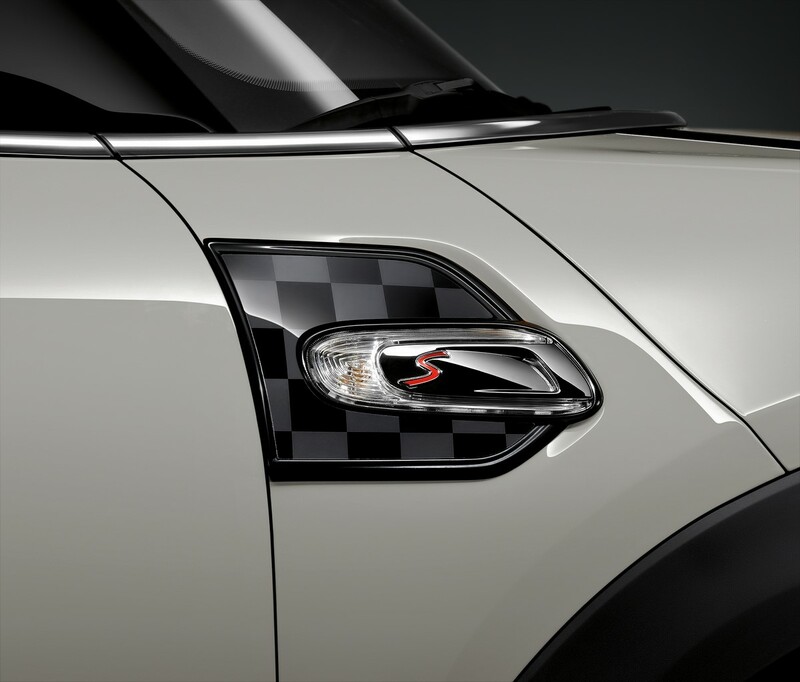 Each emphasises the distinctive character of the new MINI and the personal style of its driver. 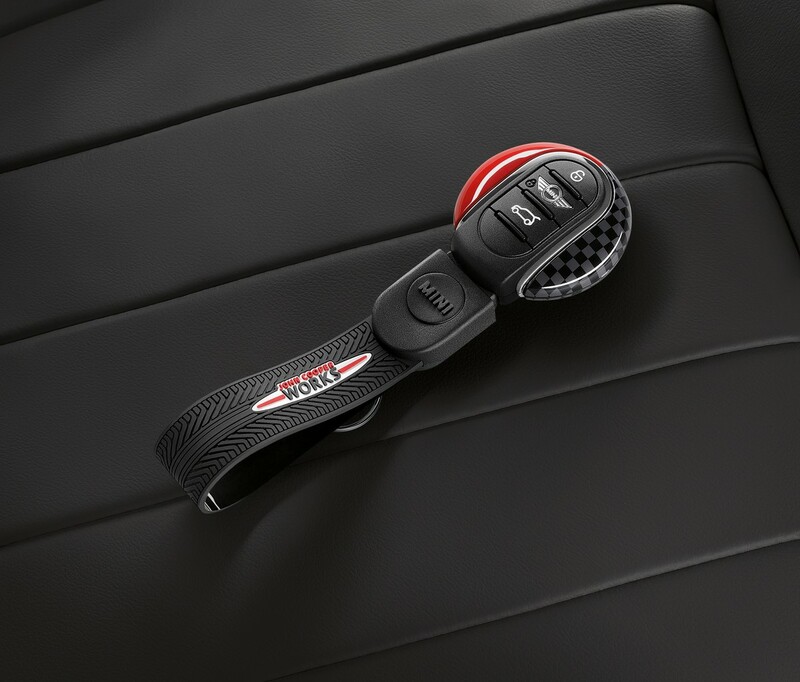 Just as the third generation MINI is new from the ground up, so the range of Original MINI Accessories has been completely redesigned. The much-loved classics are still there – including roof graphics, exterior mirror caps and additional headlamps – but there is also something new and innovative. 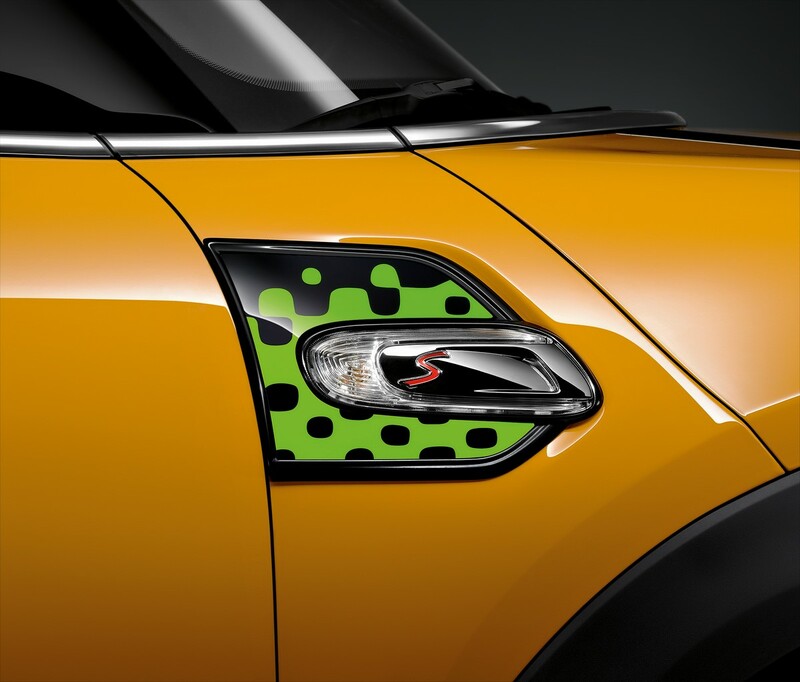 It’s a design concept for the exterior and interior made up of four MINI Characters, called Vivid Green, Speedwell Blue, John Cooper Works Pro and Essential Black. 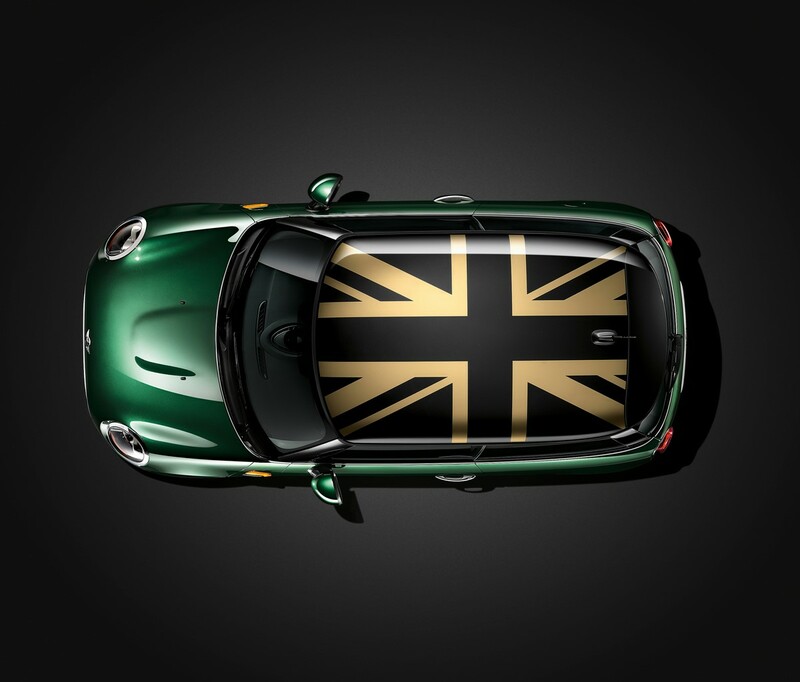 For the first time, Original MINI Accessories are precisely matched in design and colour. 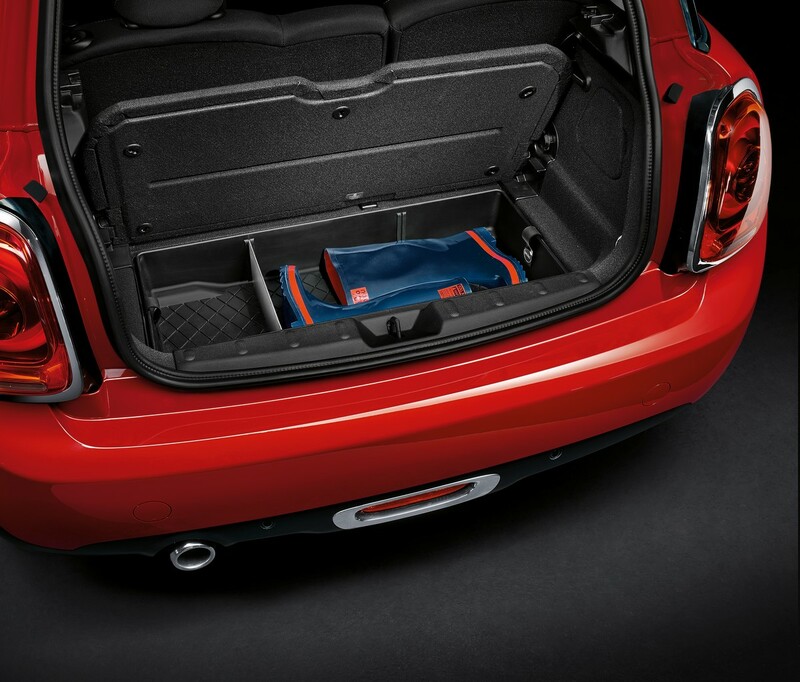 It means the new MINI can be fitted with a whole host of optional extras, each available in up to four design lines. 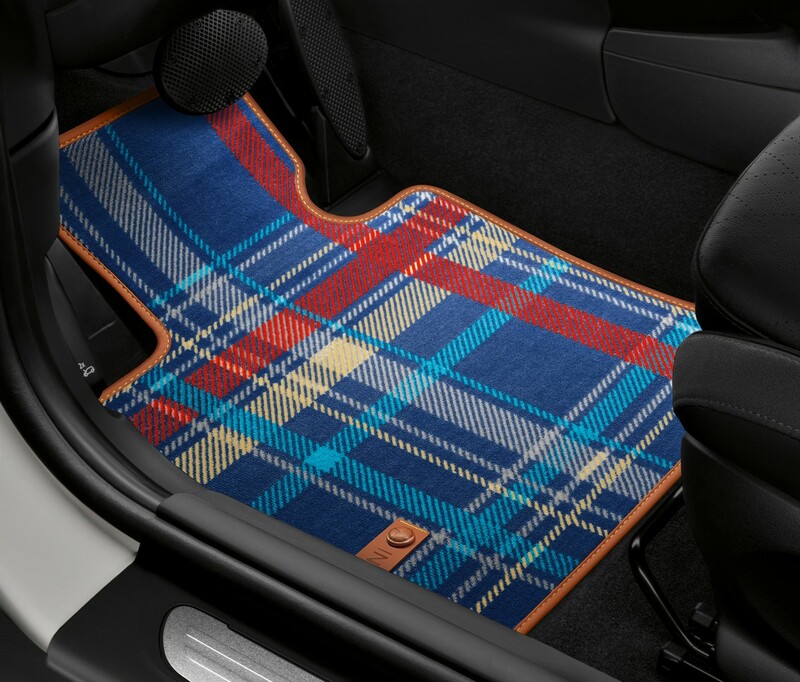 The pioneering approach, ensuring a co-ordinated design to the outside and inside of the car, applies to textile and all-weather floor mats, sun protection elements, door sill cover strips, exterior and interior mirror caps, roof and side graphics, side indicator surrounds, key lanyards, protective covers and luggage compartment items. 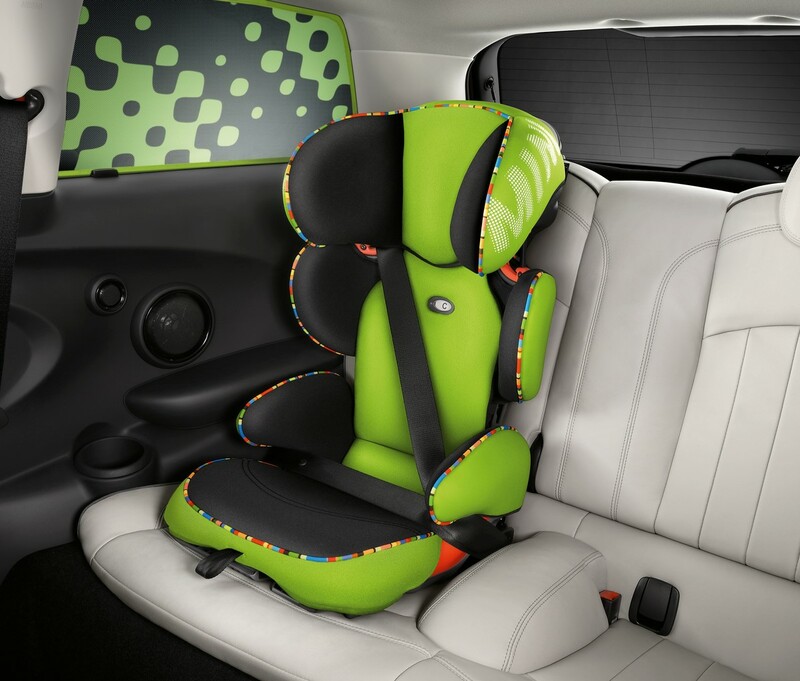 Vivid Green: gives accessories a youthful, fresh look with striking dashes of rich green against a black background. 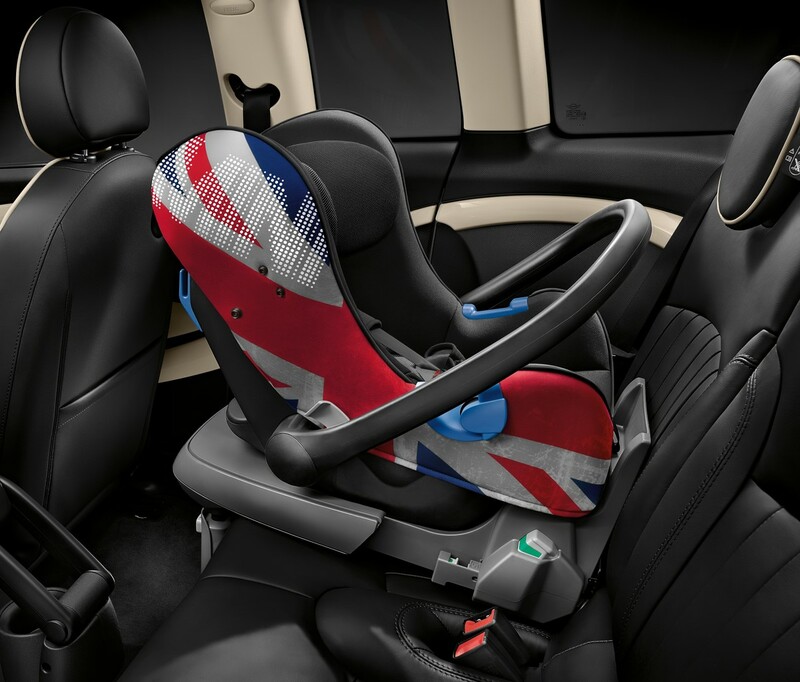 Speedwell Blue: adds a touch of sporty flair and a sense of tradition, thanks to a reinterpretation of the red, white and blue of the Union Jack, combined with a warm brown tone. 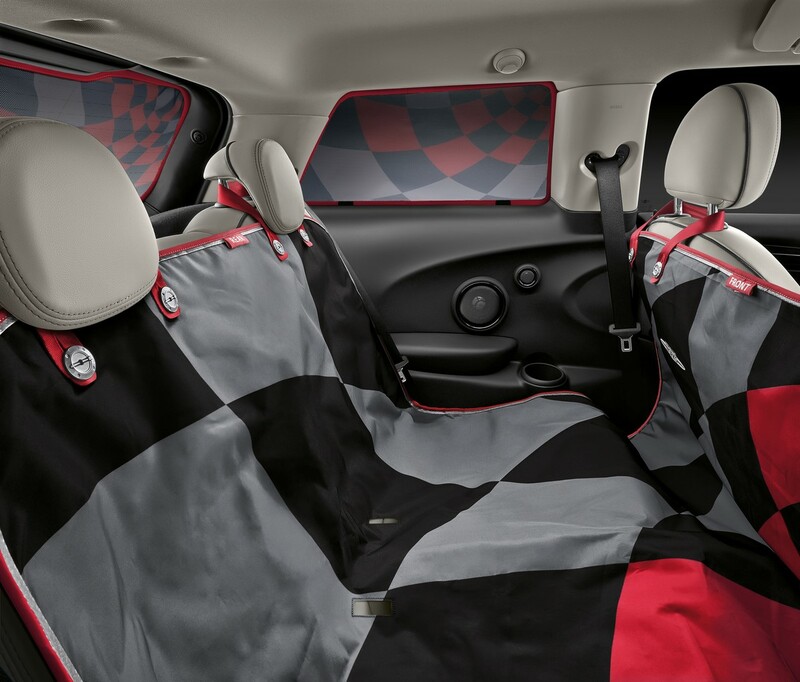 John Cooper Works Pro: reflects a passion for racing with a vibrant chequered flag in black, red and grey. 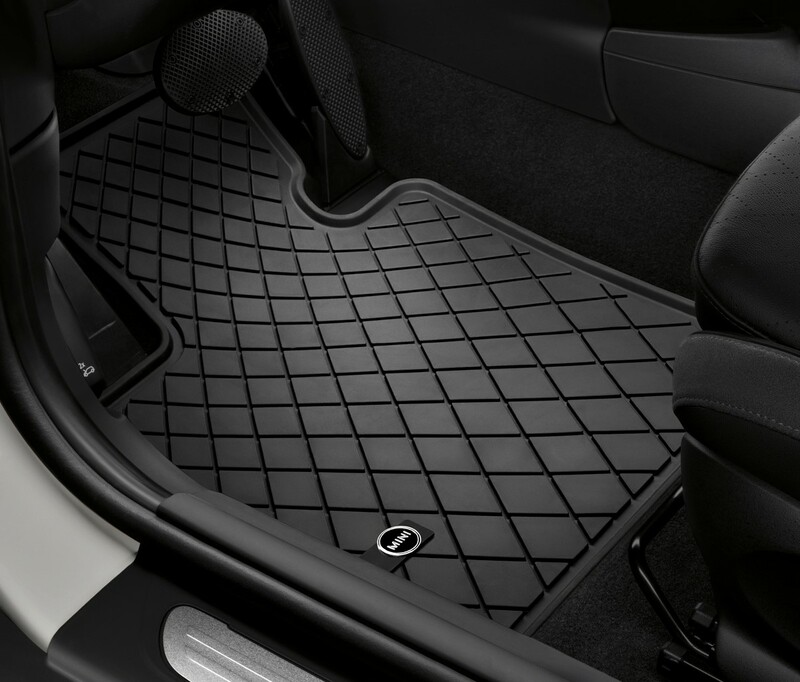 Essential Black: an understated and elegant design that’s pared back to a chequered pattern which runs diagonally. 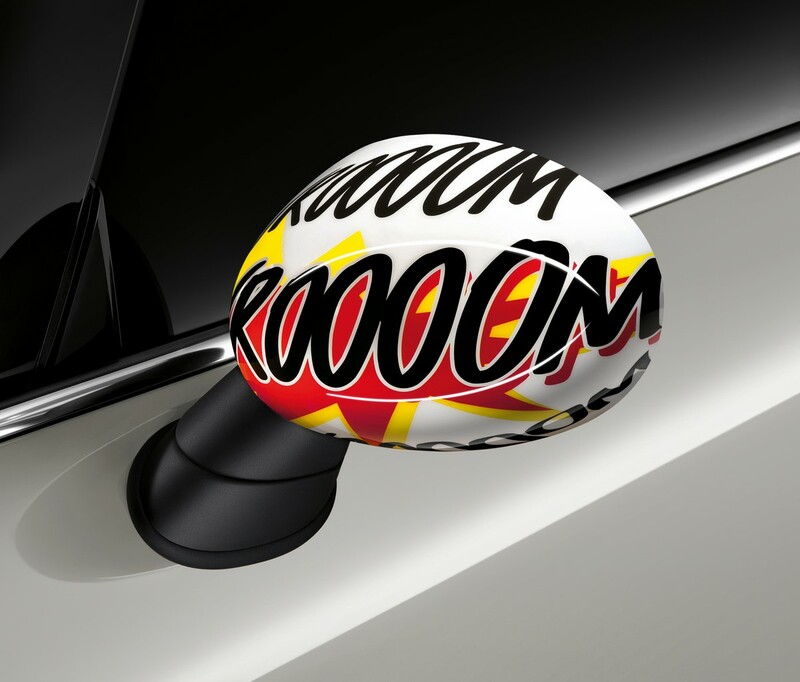 Always a popular choice with customers of previous generation MINIs, were the mirror caps, both internal and external. 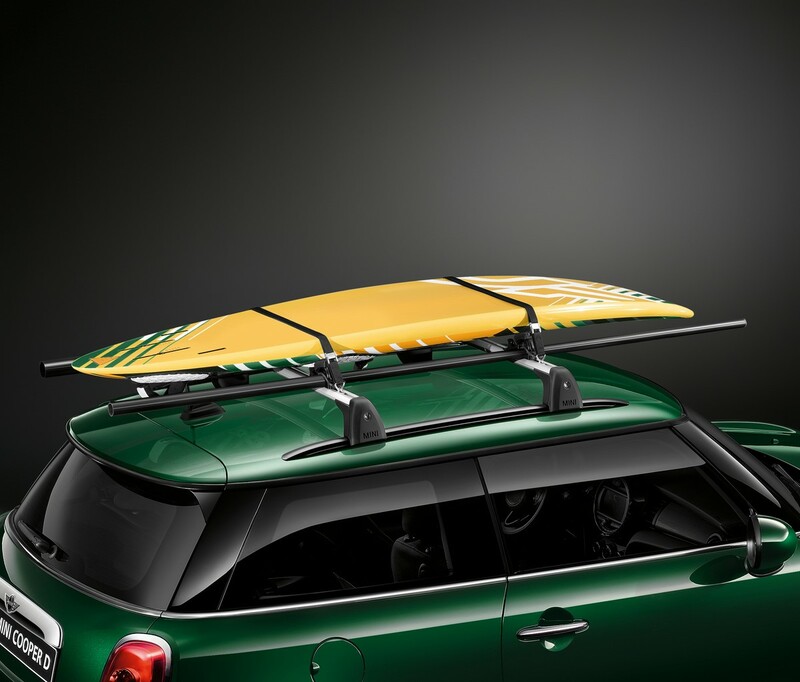 These are now available for the new MINI in the design lines Vivid Green, Speedwell Blue and John Cooper Works Pro. 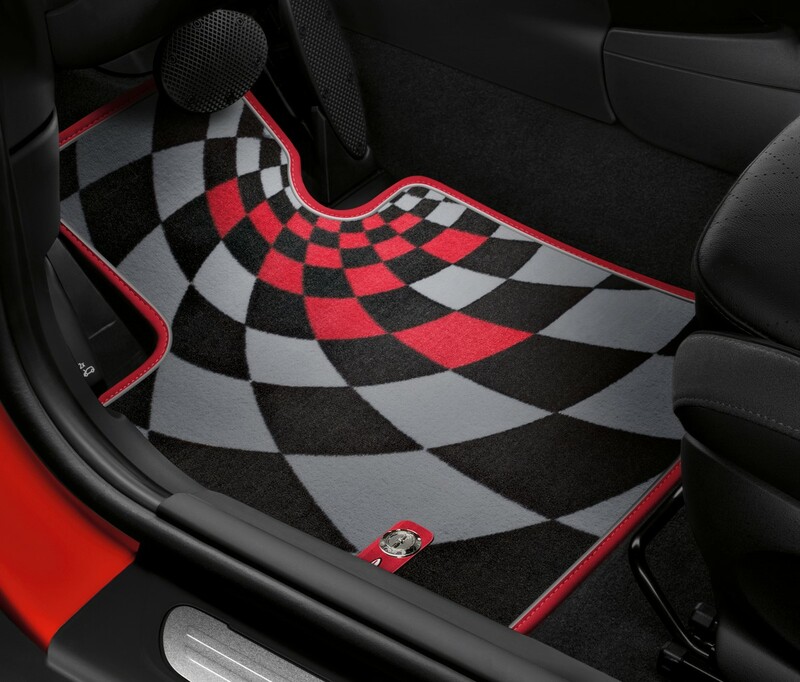 They are also in Union Jack, Black Jack, Chequered Flag Black/Grey, Chequered Flag Black/White and John Cooper Works Pro Carbon. Two additional finishes are new to the programme, Big Bang and Gold Jack. 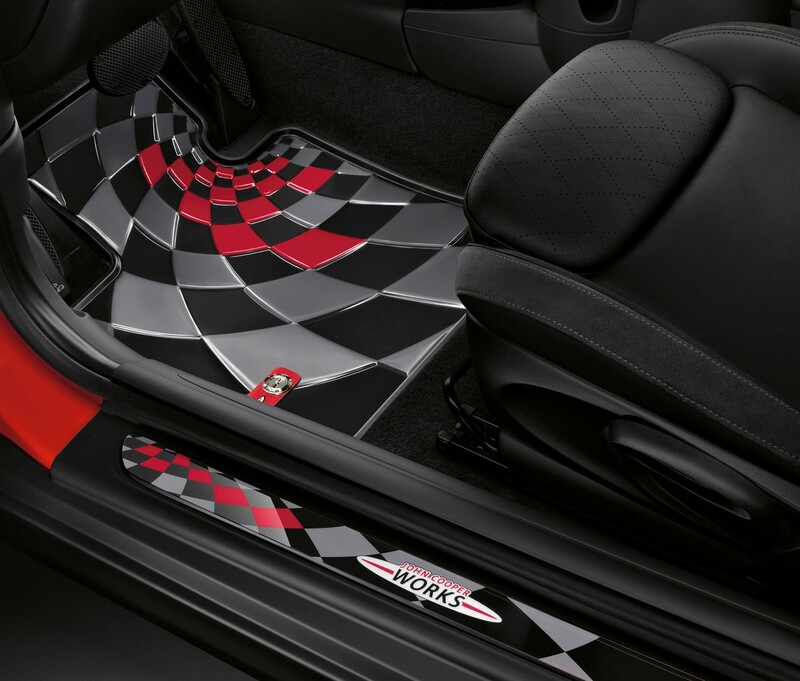 The selection of roof graphics is more varied than ever before. 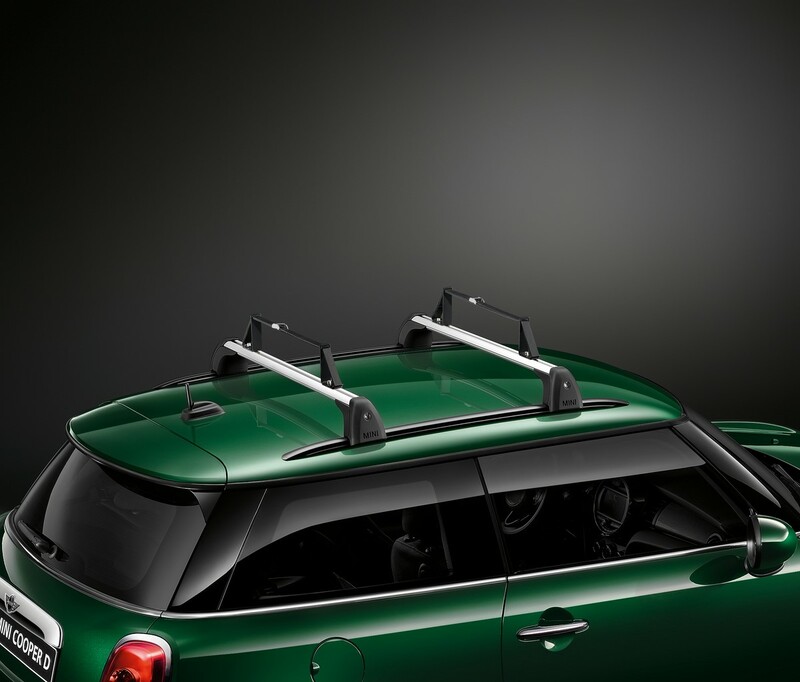 They are available in nine variants for the standard roof and six for the optional glass roof. 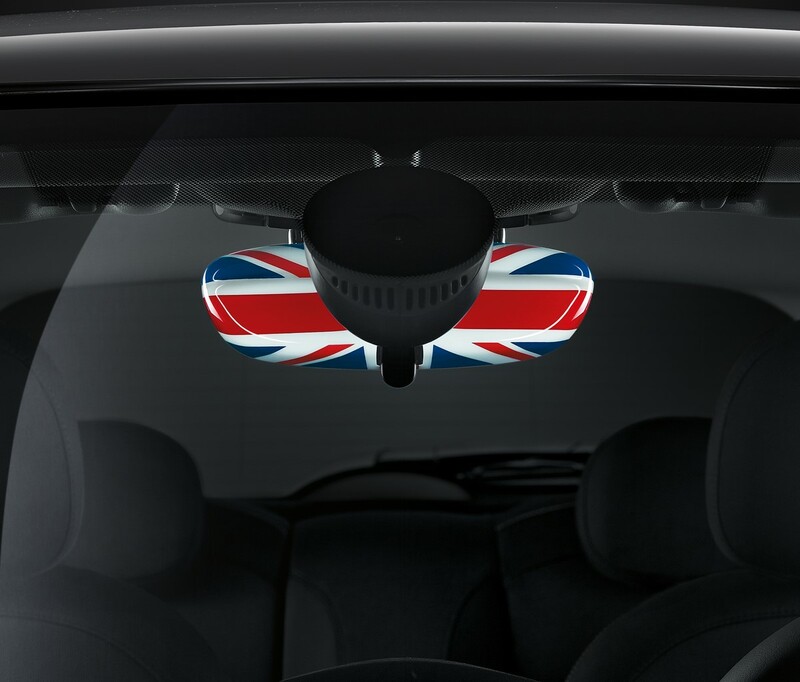 Both roof versions can be enhanced with the motifs Union Jack, Black Jack, Gold Jack, Chequered Flag Grey, Chequered Flag White. 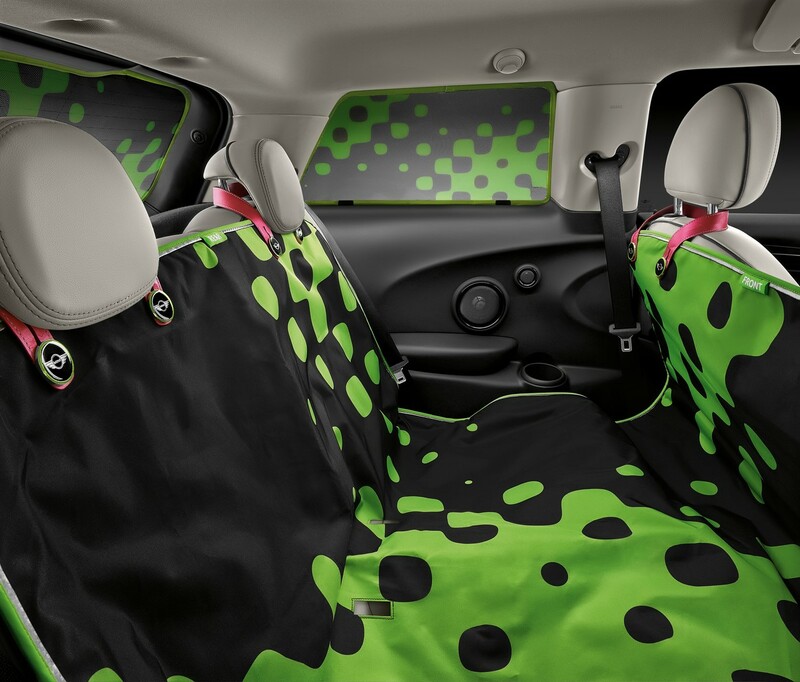 Additional options for the standard roof are Speedwell Blue, Vivid Green, John Cooper Works Pro and Chequered Flag Black. 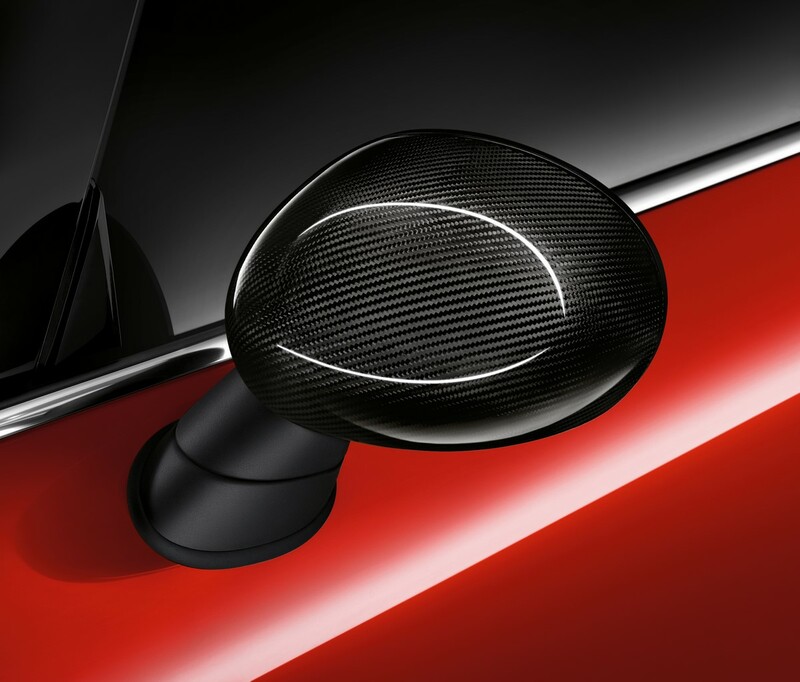 Design accents can be added to the side indicator surrounds. 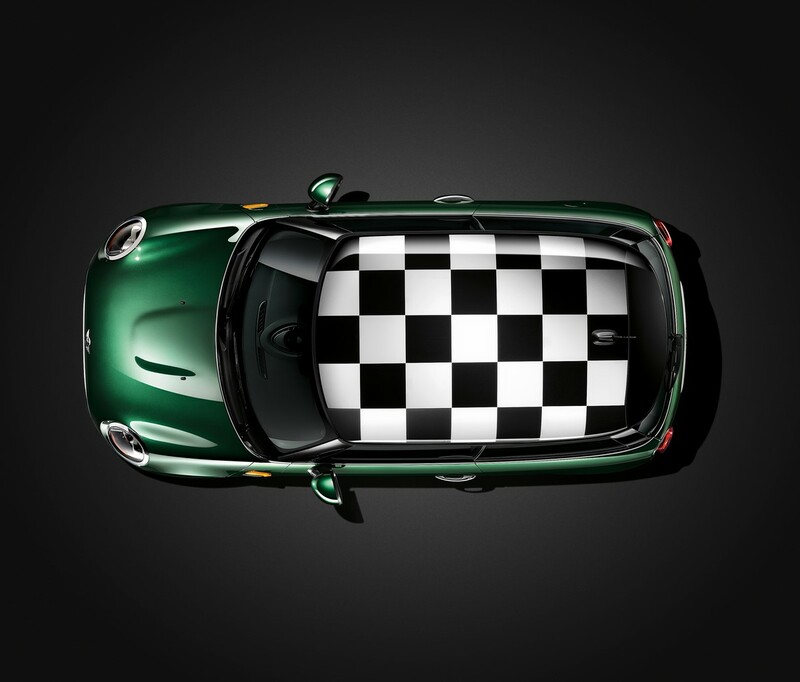 In addition to the Union Jack, Black Jack, Chequered Flag Black/Grey and Chequered Flag Black/White, they are now available in the MINI Characters Vivid Green, Speedwell Blue, John Cooper Works Pro. Side graphics are another buyers’ favourite. 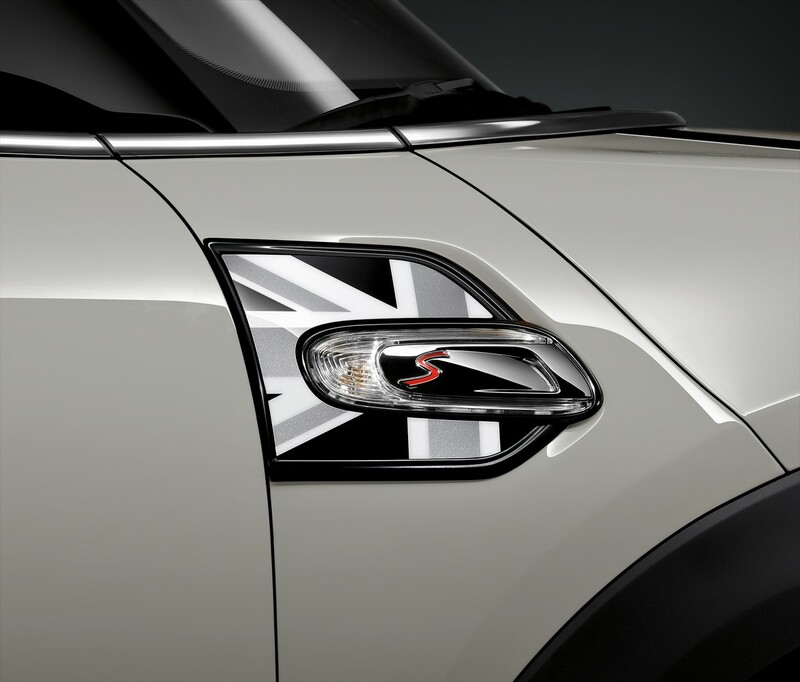 Made from high-quality foil, they run from the side indicators to the rear wheel arches. 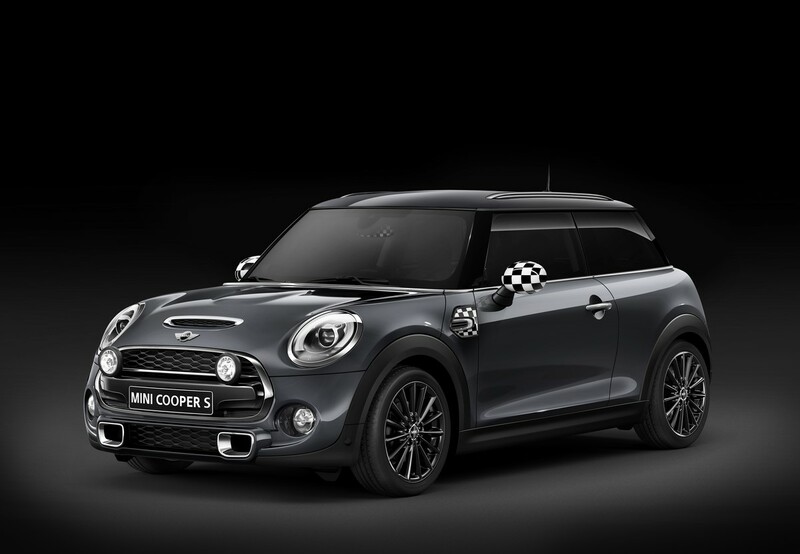 For the new MINI they are available in Vivid Green, Speedwell Blue and John Cooper Works Pro, as well as a new version of the John Cooper Works design in the colours Chilli Red and Jet Black. 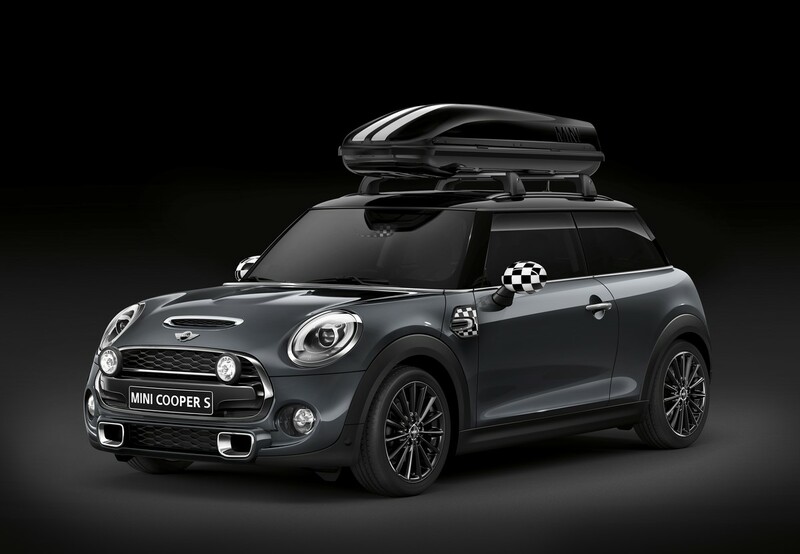 Two Original MINI Accessories are offered exclusively in the design line Essential Black, and their function is to protect the luggage compartment from getting dirty. 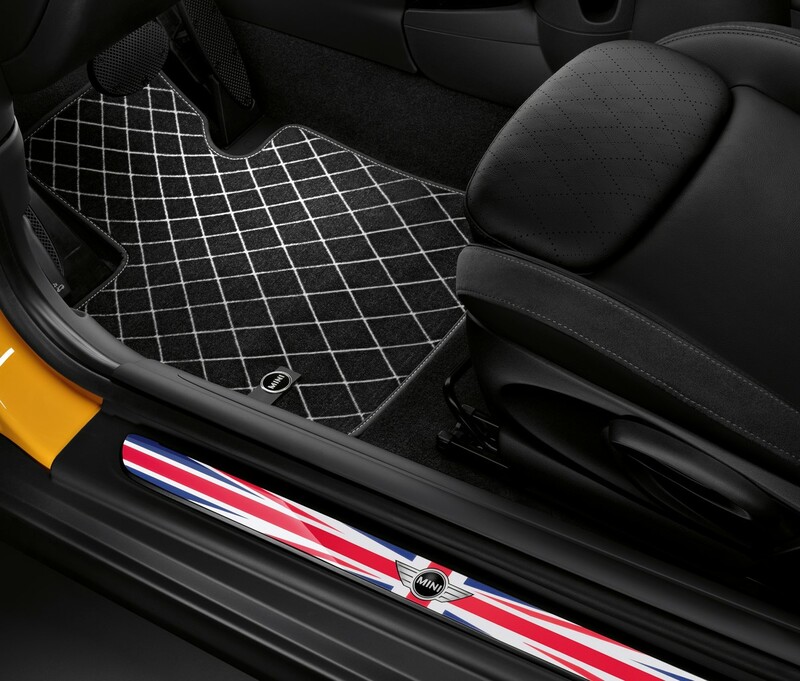 Both the floor mat and tray are a perfect fit, made from an anti-slip and waterproof material with straps for easy removal. The luggage compartment floor mat has a textile strip surround, while the tray includes partitions made of brushed aluminium. 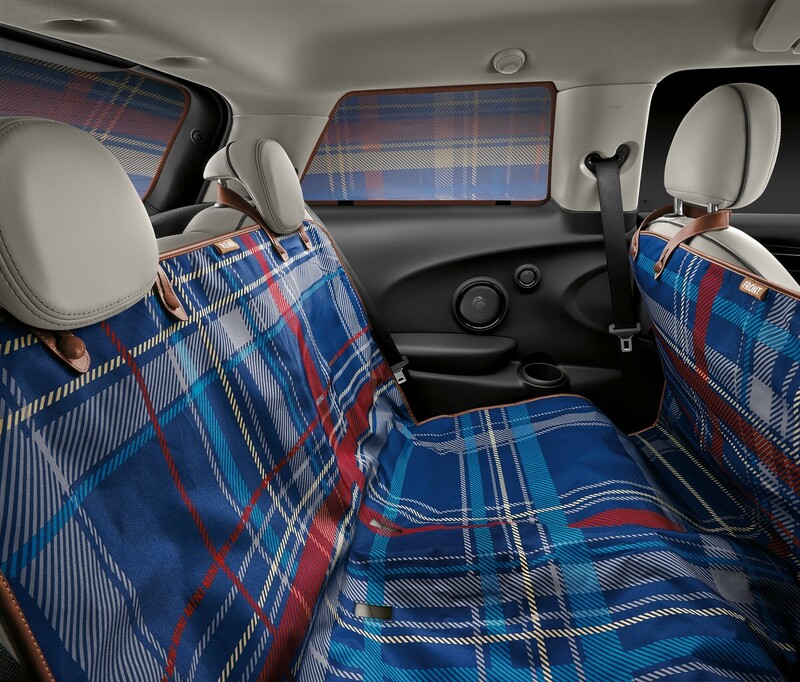 Other personalisation options include sun protection elements for the rear window and rear side windows, door sill cover strips backlit with LEDs, additional main beam headlamps and a synthetic fabric car cover. Each is available in up to four MINI Character design lines. The Original MINI Accessories programme also features a selection of newly-developed light alloy wheels. 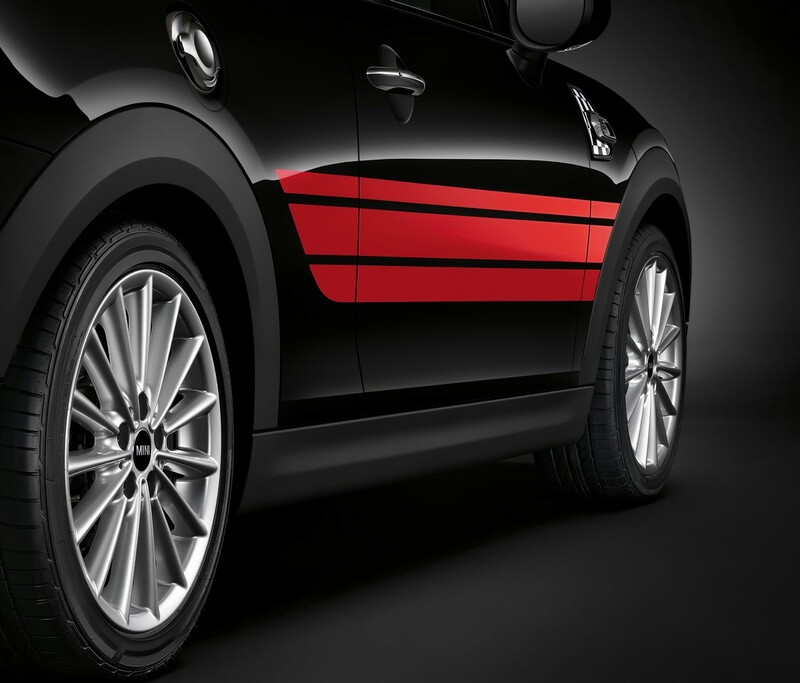 For the first time, it includes 18-inch forged aluminium rims in cross-spoke design. 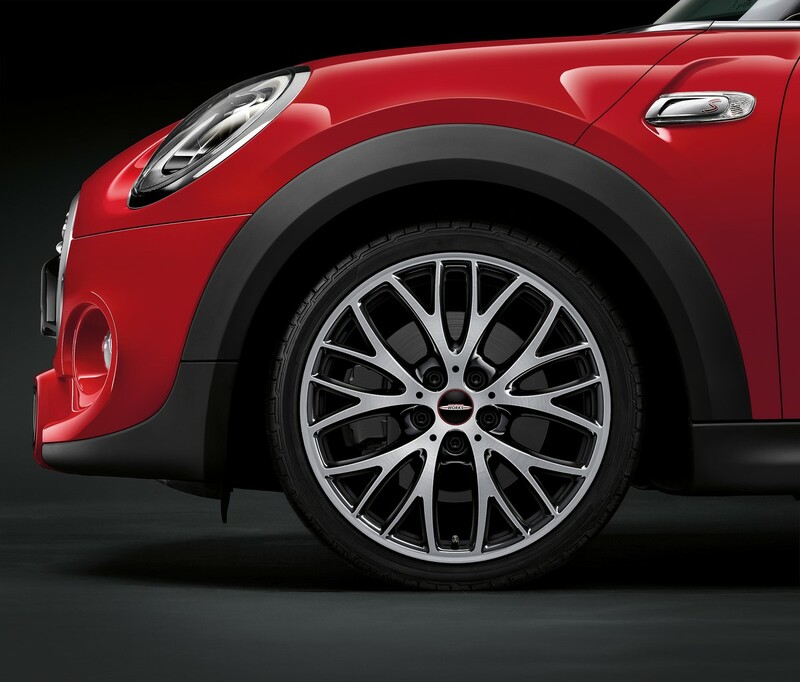 There are also 17-inch light alloy wheels available in multi-spoke design, which are available in Bright Silver metallic or Liquid Black. 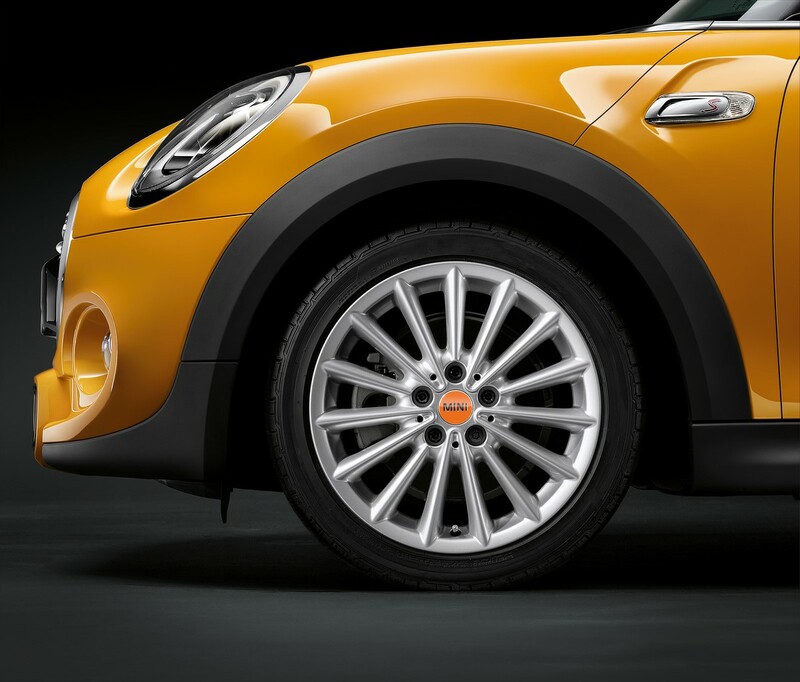 For an extra touch of class, the hub caps on all MINI light alloy wheels can be finished in Chilli Red, Bright Orange, Apple Green or Bright Yellow. 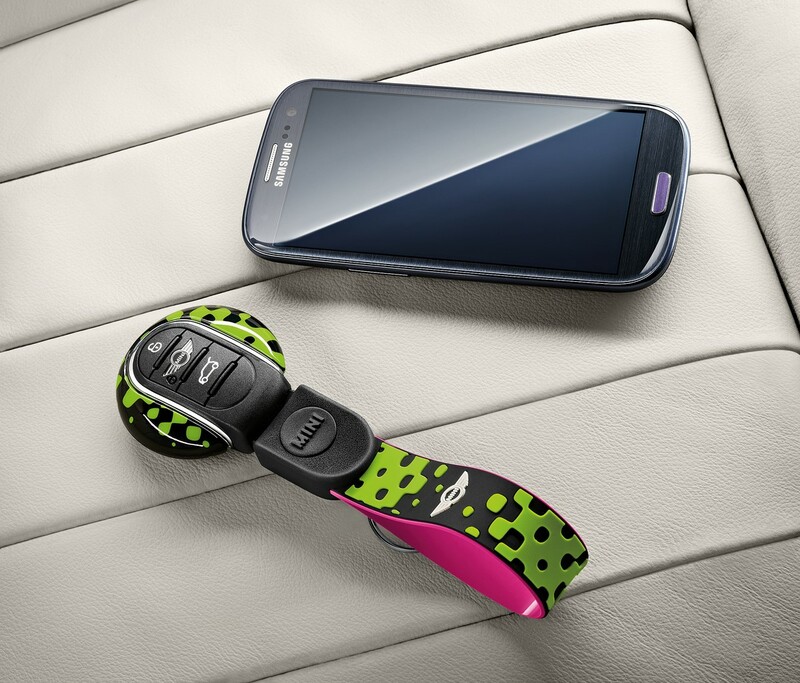 More innovative is the MINI key cap, making its debut on this car. 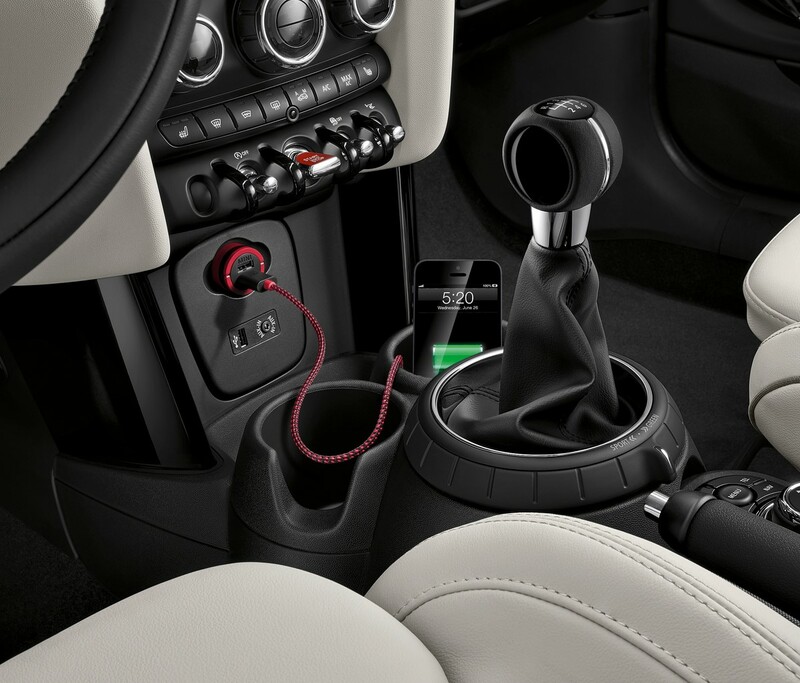 It features an integrated NFC (Near Field Communication) chip for non-contact data exchange between the MINI key and the customer’s smartphone. 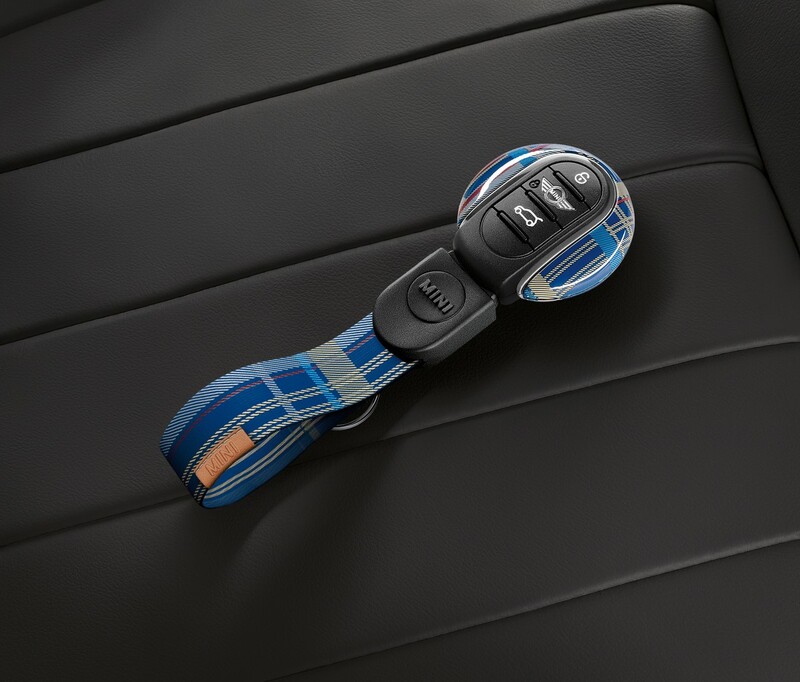 After synchronisation at the press of a button, smartphone functions such as a Bluetooth connection, volume control or app launch can be activated via the key. 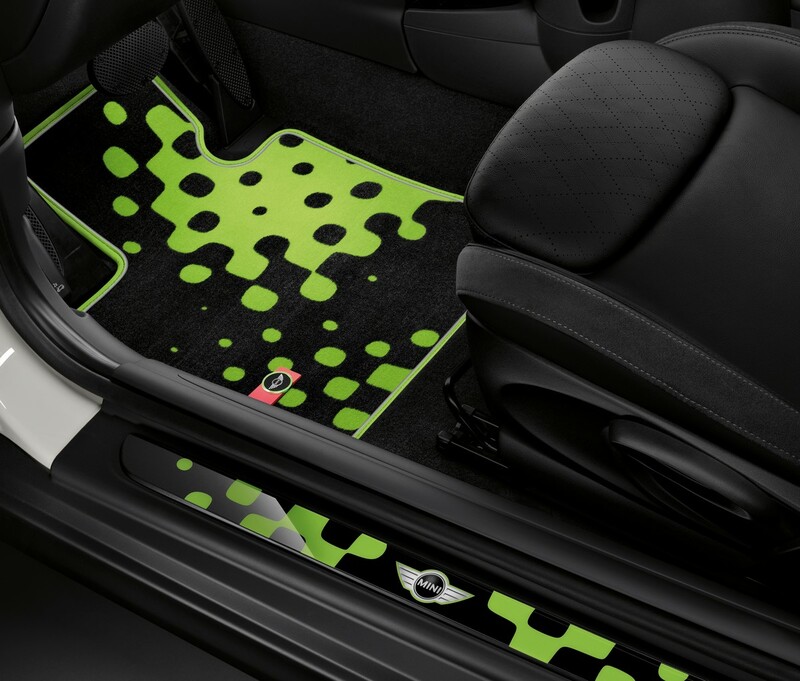 This means that the MINI driver’s individual settings for features such as MINI Connected Services are detected immediately the driver gets into the car. 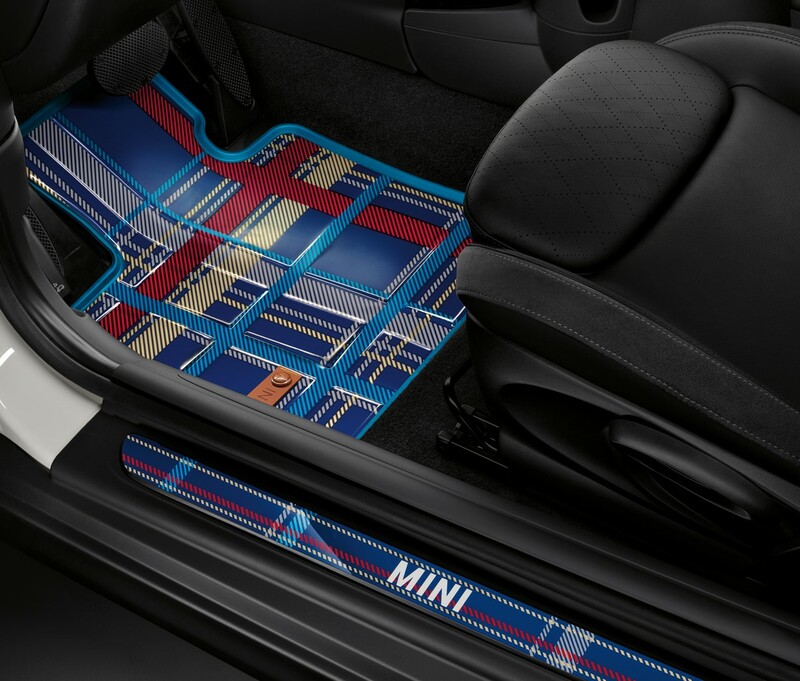 All Original MINI Accessories reflect the excellent standards of the BMW Group, in terms of design, quality and safety. Retro-fitting these parts has no impact on the warranty terms as applicable to the vehicle in question. Sales and installation are taken care of by the MINI dealer network, MINI sales subsidiaries and MINI service partners.